Nintendo Power, a news and strategy magazine for Nintendo products, has reappeared after its 2012 cancellation—this time in the form of a podcast. The show is hosted by Chris Slate, the magazine’s former editor-in-chief, whose relationship with Nintendo Power goes back to when he brought home the magazine’s first issue as a child. He describes the podcast as a “passion project,” yet his enthusiasm for Nintendo games feels subdued due to the show’s professional tone. This formal feel can be expected given this is Nintendo of America’s official podcast, and indeed its access to industry professionals distinguishes the show from others of its kind. In the first episode, for example, Slate interviews Eiji Aonuma and Hidemaro Fujibayashi, the producer and director of the massively successful game The Legend of Zelda: Breath of the Wild. The interview gives fans an inside look at the game’s development process, and Aonuma and Fujibayashi sprinkle in funny anecdotes in between presenting the philosophy behind their game design. The influence of its print predecessor is felt all throughout Nintendo Power. The podcast is almost entirely based on old sections from the magazine. This includes a bit called Warp Zone. In Nintendo fandom, a “warp zone” refers to a hidden portal in Super Mario that enables the player to skip parts of the game. In the Nintendo Power magazine, Warp Zone was a throw-back section in which the magazine would look back at its old content. Here, in the podcast, it is a quiz lead by the hosts that tests theirs and the listeners’ retro gaming knowledge. References like this one situate the podcast within Nintendo’s rich history. But still, between the casual conversation of the Warp Zone and the sanitized atmosphere of the insider interviews, there exists a tension amid the playfulness of gaming and the show’s professional quality. If listening to Nintendo Power conjures up a visual of men sitting around a corporate conference table, GoNintendo, the longest running Nintendo fan podcast, creates an image of friends hanging out at home. In GoNintendo, the hosts go by their screen names: Mom Brain, Kirby, Nicky Hill and the host, RawmeatCowboy. The group is often crass, and unapologetically so. One episode starts with Mom Brain screaming about the Pokemon of the week. During this intro, Kirby, who is drinking seltzer water, burps five times in a matter of minutes. Instead of moving onto the news, the group discuss in detail how drinking Seltzer might have influenced the smell of Kirby’s burps. Crudeness aside, the frequency of GoNintendo and the wide ranging interests of its hosts allow for extensive coverage. In addition to official Nintendo news, the hosts discuss rumors and whatever seems to be trending on online forums. A lot of fan engagement, like news from hacker communities, are outside the formal reach of Nintendo Power but are important to understanding the current gaming sphere. This leads GoNintendo to feature niche but important Nintendo news. One episode documents the first instance of Linux running on a Nintendo Switch console. This hack, we learn, will allow people to illegally download games and could potentially change how many fans use the console. This is exactly the sort of news that greatly impacts fans, but would go unmentioned by Nintendo Power. Another podcast, Nintendo Voice Chat, provides yet deeper analysis of Nintendo news and rumors. Whereas GoNintendo checks off headline after headline, Nintendo Voice Chat covers fewer topics but in greater detail. In general, one way to understand the differences between these podcasts is by comparing how they report the same story, such as the recent buzz that there will be a new Metroid game. The rumors began when a Bandai Namco employee listed development for a first-person shooter for the Nintendo Switch as experience on his LinkedIn page. When GoNintendo covered the story, they chatted a bit about it then moved on to the next news piece. On Nintendo Voice Chat, host Filip Miucin dug deeper to find that Bandai Namco had been hiring a number of artists from Lucas Arts, allowing the hosts to speculate on the topic further. Nintendo Voice Chat is also noteworthy for the knowledge its hosts bring from their experience at IGN, or Imagine Games Network, a website that publishes video game reviews and walkthroughs in addition to news. The influence of the hosts’ time at IGN is evident in their discussions of new titles heading to Nintendo consoles. When discussing new games for the Nintendo Switch Console, the hosts of the week talk about what other consoles the game has been on and how the Switch version varies from the others. In one discussion, Miranda Sanchez, the podcast’s first-person shooter expert, gives a lengthy but accessible description of the varying experiences of playing Payday 2 on the Nintendo Switch versus other systems. She describes the difference in the hardware, how the controller feels in her hands. She also talks about the game’s features and logistical details like its frame rate. Even within the seemingly limited scope of “only Nintendo content,” Nintendo Voice Chat still benefits the expertise from of its hosts. 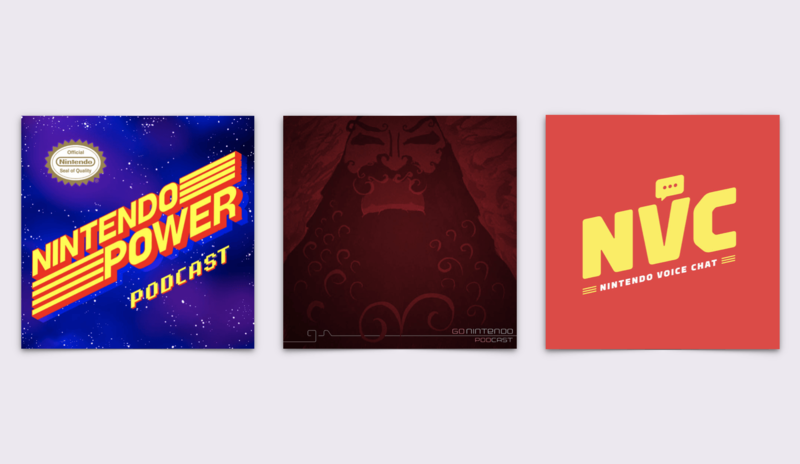 So, while Nintendo Power the magazine may be missed, there are now a variety of podcasts filling its void, with each show — whether what you seek is something more casual or strictly professional — occupying its own corner of the Nintendo world.